In September 2018, the European passenger plug-in vehicle market stagnated (+1%), scoring some 32,700 registrations. That pulled the year-to-date count to some 275,000 deliveries, meaning a 2.2% market share in 2018 so far. This behavior is not a surprise, as the introduction of the WLTP standard in the beginning of September originated a plug-in hybrid (PHEV) sales rush in the previous months. That was followed by a sudden PHEV drop in September (−21% year over year) in the PHEV category. On the fully electric (BEV) side, it was business as usual (+27%) in September, leading to the segment growing its share by 2 percentage points compared to the total year breakdown (48% BEV, 52% PHEV). All-electrics could still win the race against PHEVs this year. 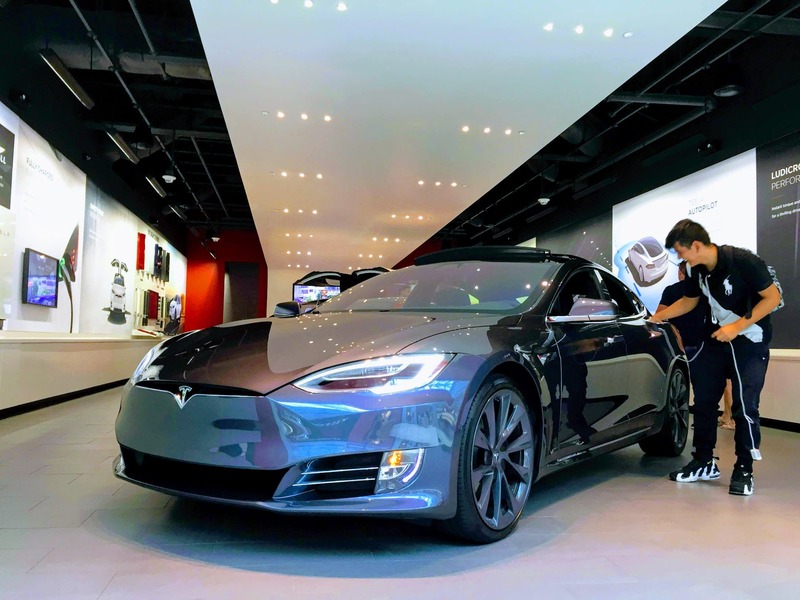 Tesla was a big contributor to the positive performance of BEVs, as the last-month-of-quarter peak was higher than usual, with the Model S coming in second in September and the Model X coming in fifth, hitting a record result of 2,453 units. The PHEV sales drop wasn’t equal across the category, as some brands (BMW, Mitsubishi, Volvo …) did their homework and weren’t affected by the new rules, leading to some brilliant performances from those particular brands, like the #4 Mitsubishi Outlander PHEV. 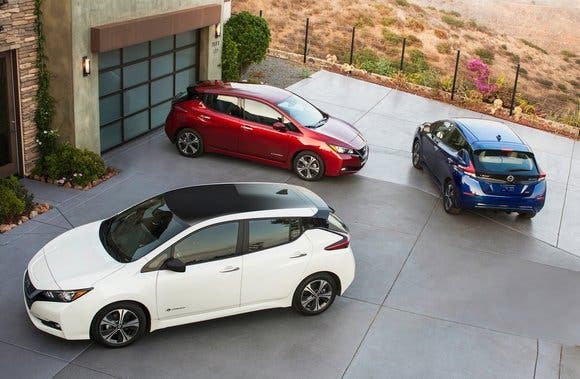 #1 Nissan Leaf — Europe’s best selling plug-in model continued to expand its sales, achieving 4,596 registrations in September, its best result in the last six months. With the order list still to be satisfied in a number of countries, expect the Leaf to continue as the default #1 throughout the year. But back to last month’s performance, the main market was by far Norway (1,071 deliveries). Several markets across Europe also reached triple-digit performances, like France, the Netherlands, Germany, the UK, Sweden, Portugal, Austria, Spain, Denmark, and Italy. #2 Tesla Model S — The sports sedan had its best month in Europe since December 2015, thanks to 2,854 deliveries, up 12% year over year (YoY). This is an impressive result for the Californian, not only because it’s been on the Old Continent since 2013, but especially because the Model 3 is just a few months away from crossing The Pond and landing on this side, which could already put a shadow over its older, bigger (and more expensive) sibling, eclipsing its sales. So far, this hasn’t been the case, with the nameplate’s 2018 sales performance actually growing 11% YoY. Looking at individual countries, besides Norway’s usual contribution (782 units), the Netherlands had a record registration month, with 1,052 deliveries, while Sweden and the UK also had significant contributions, with over 150 registrations in both countries. #3 Renault Zoe — The September 2,762 deliveries meant a 22% growth YoY for the French hatchback. 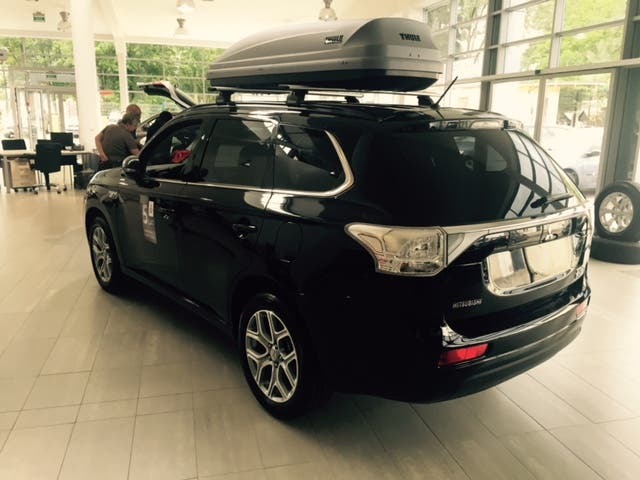 The car is expected to see continued, steady growth until the revised model arrives next year. Regarding September individual market performances, the domestic market did the usual heavy lifting, registering 1,482 units (+17% YoY), while other significant numbers came from Germany (328 units), Norway (386, a year best), and Sweden (191, new record for the third time in a row). #4 Mitsubishi Outlander PHEV — Solid as a rock, and with the help of a revised version, the Japanese SUV secured yet another Best-Selling PHEV of the Month award and a top 5 presence in September. It had 2,595 registrations, up 22%, making it the nameplate’s highest result since March 2016. The plug-in SUV continues with its compelling offering of a unique mix of space, AWD, and affordability (€40,000), with the added bonus of more electric range (28 mi or 45 km real-world range) and more power (+15 hp). That keeps it popular in markets like the UK, Norway, and Sweden. Going forward, the Japanese SUV is expected to keep wearing its crown as Europe’s best selling PHEV. 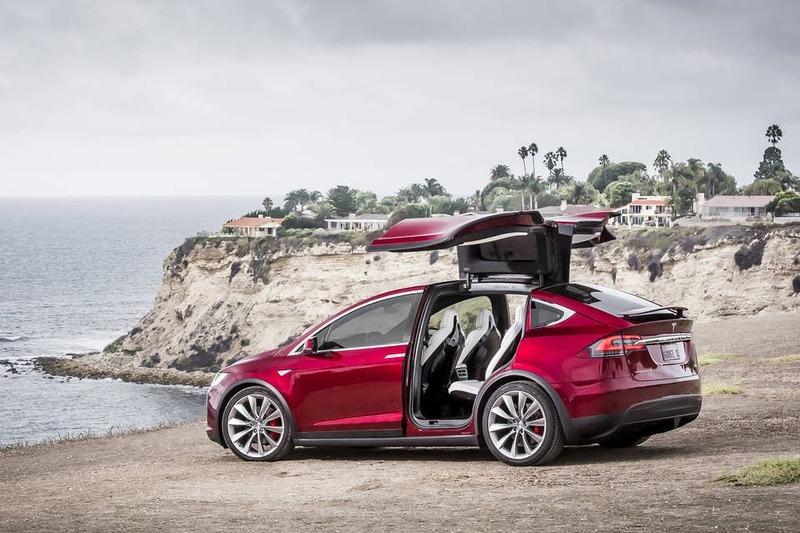 #5 Tesla Model X — The sports SUV had its best result ever in Europe in September. It closed with 2,453 deliveries, up 18% YoY. It seems the nameplate is starting to catch on in Europe, so expect slow but steady growth in the near future, possibly surpassing its Model S sibling next year. Looking at individual countries, Norway was the largest market (1,234 units), while the Netherlands has registered a record month, with 593 deliveries. Looking at the 2018 ranking, with all the unusual results mentioned above, there is a lot to talk about. The Mitsubishi Outlander PHEV climbed to #4, surpassing the VW e-Golf, which had its worst result in a year (839 units), while both Tesla models jumped positions, with the Model S rising to #6 and the Model X jumping five positions to #8. Elsewhere, several models from the BMW Group continued climbing positions, with the Mini Countryman PHEV reaching #15, the BMW 530e now #12 thanks to a record 1,839 deliveries, and the hot-selling 225xe Active Tourer climbing to #10 (beating once again its personal record, this time with 1,578 sales). Even the quirky i3 had a record result, with 2,412 deliveries some 5 years after its arrival on the market. On the other hand, Volkswagen had a terrible month. Besides the unexpected slow month for the e-Golf, both VW’s plug-in hybrids had low results. The Golf GTE registered 393 units, its worst performance in 18 months, while the Passat GTE scored 591 units, its lowest result since February 2016. Outside the top 20, the Hyundai Kona EV is ramping up deliveries, having reached 606 units last month, while the Jaguar I-PACE is also increasing the sales pace, by registering 407 units in September. Looking at the manufacturer ranking, 2017 winner BMW is in the lead at 17% PEV market share, while runner-up Volkswagen (13%) is watching #3 Nissan (11%) with a close eye. Renault (9%) is in a distant fourth, but comfortably ahead of #5 Tesla (7%).